Red Dead Redemption lasso weapon! Place Lasso.dll into your "scripts" folder. You will need the latest ScriptHookV, ScriptHookVDotNet, the game, and a brain. 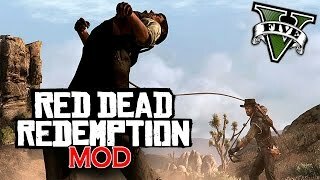 This mod brings you back the RDR lasso weapon/utility! Watch your victims squirm as you lasso them. While lassoing someone, get close to hogtie them, if you are close to a vehicle, you can also use your lasso to attach them onto it. 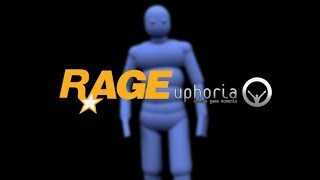 - Added attached vehicle pedestrian limit due to Euphoria limiting it's scripted ragdolls to 3. 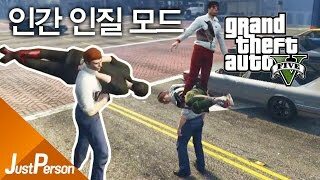 - Lassoed and attached to vehicle pedestrians with guns will try to shoot at you. 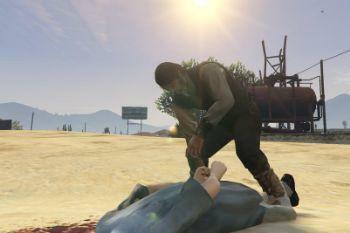 - When you hogtie a pedestrian, they will drop their current gun and remove all their weapons. 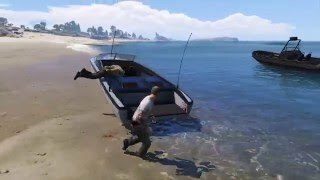 - Attached vehicle pedestrians will automatically be set free if the player is far away to fix crashing. - Minor bug fix that made the script confused if to hogtie or to attach to vehicle. 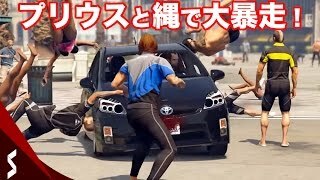 - Pedestrians that are lassoed/attached to vehicles will now use UseHeadLook and look at the player mercifully. 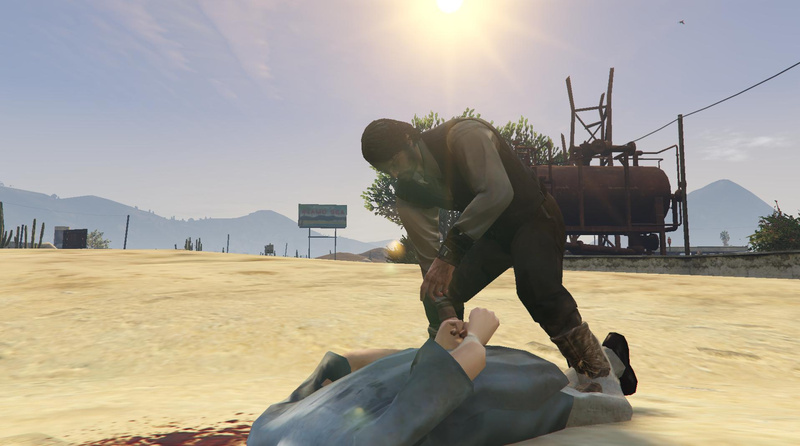 - When a victim is hogtied to a vehicle, their legs will be bound together and the rope will be attached to their legs. - Fixed problem where you couldn't hogtie a lassoed victim when no vehicles were around. - When a pedestrian is lassoed, their hats/glasses fall off. 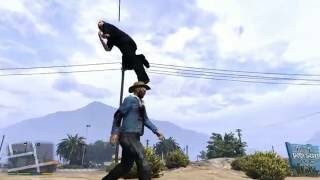 - The pedestrian will try to keep balance when lassoed much longer now. 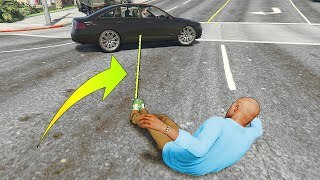 - Lassoed and attached to vehicle pedestrians with guns will try to shoot at you fixed to only shoot bullets in their current clip, no more infinite ammo. It isn't working. I reinstalled ScriptHookV and Script Hook dot net. Still nothing. All the other scripts work. And how come has no one given proper guidelines on how to use it? At least mention the keys in the description. 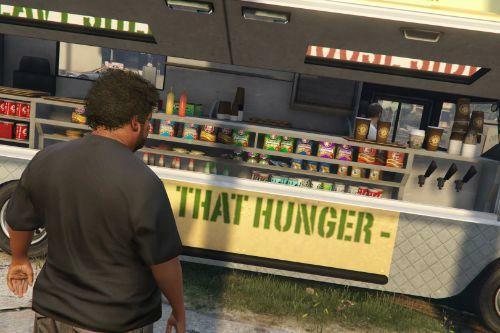 if this mod doesn't work for you, there's this alternative that allows you to kidnap npcs and put them in the trunk of your car. 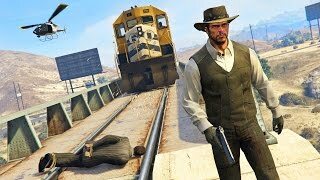 It's missing the lasso feature though but you can still kidnap and carry npcs around, by targeting them and pressing "F"
@littlefilms alright, I'll try it out. Thank you. But I wish this one could work too. 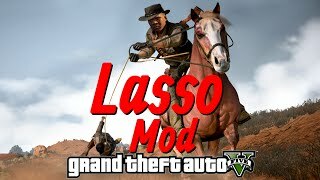 it should be working fine, I was using the lasso mod before and it was working. 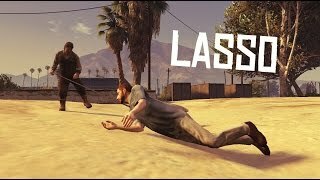 The mod works by targeting npcs (right mouse click) whilst unarmed and you should see a prompt saying to press F to lasso them. 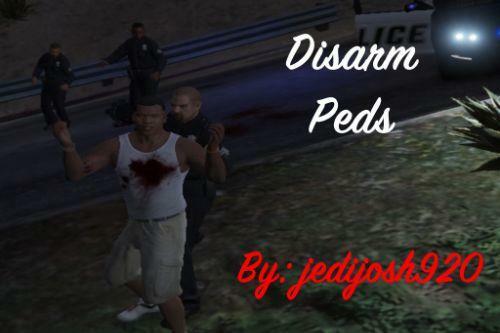 @jedijosh920 awesome updates bro!!! Can't wait for a lasso update!!!! This mod was beast!!!! 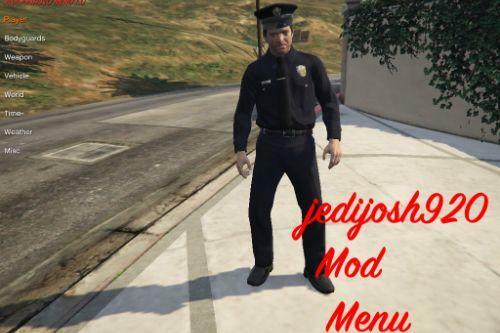 @jedijosh920 how to use this mod? The mod works nicely but the game crashes after ~10 min for some reason. Any idea what could it be? 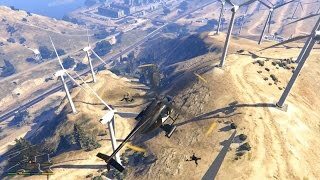 @littlefilms you got any more mods like that brazzilian one?